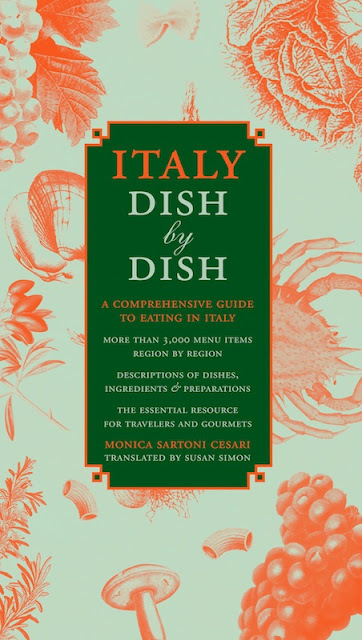 SUSAN SIMON SAYS: Italy Dish by Dish, the reviews are out! Among newspapers all over the country that have talked about the book, The Milwaukee Sentinel seems to get it best, except for a snippy comment about the color of the type. Oh well. Of course, who's not happy with a mention in the Wednesday food section of The New York Times. There are many, many other nice mentions, including ones in the stalwart publishing trade publications, Publishers Weekly , and Library Journal. SUSANSIMONSAYS: Buon Viaggio e Buon Appetito - even from your armchair!